Vimsy is an innovative online video sharing solution that was dreamed, designed, and then built by the team at Southpoint Films to help businesses optimise their use of video. Give your videos a branded channel that keeps the viewer experience within your control, share your videos privately with your staff or customers, see who’s been watching your videos for compliance or CPD purposes, and even sell your videos directly to your customers. Vimsy was built for training videos. Organise your videos into collections and sub-collections to give your viewers a structured layout of your content. Use the “Insights” feature to see who’s been watching your videos and how much of those videos they’ve watched for CPD or compliance purposes. If you’re a commercial training provider you can even sell your videos through Vimsy using Stripe, giving you a seamless e-commerce platform around your videos. If you have a number of event recordings, such as presentations from a conference, Vimsy is ideal for you. You can organise your videos into collections and sub-collections to match the schedule of your event, brand your channel with your company logo and colours, and even limit access to the delegates who were there on the day. Vimsy also lets you generate additional revenue from your event videos by selling access to your videos on a one-off or subscription basis, helping you generate more revenue from your efforts. Vimsy is perfect for any business that offers support for their products or services in video format. You can organise your videos into collections and sub-collections to match your product lines and features, provide downloads to additional resources such as PDFs alongside your videos, and also track which videos have been viewed the most for working out where your users might be struggling. 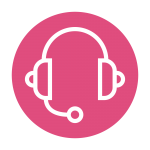 We believe Vimsy is so good for support that its own product support channel is powered by it. Why did we create Vimsy? We created Vimsy in 2015 in response to a severe lack of solutions for hosting large libraries of corporate videos – specifically, training and event videos. Before Vimsy, the most common solutions would be CMS packages that treated video as a second-class media format, corporate LMS and intranet software that wouldn’t know what a video viewing experience was if it was hit in the face by one, or a bespoke video library solution that would be built from scratch and integrated with an existing website by a web agency at great expense. We knew this had to change. Vimsy is built for video content; corporate video content. If you have training videos, event videos, product videos, or any other kind of video library for that matter, Vimsy is for you. Vimsy is built with business needs in mind, and we can guarantee that it has a whole bunch of features that you’ll find useful. Unlike some other video hosting platforms, Vimsy is only interested in showing your videos to your viewers. Vimsy doesn’t show your viewers unrelated videos from third parties or, worse, competitors. Additionally, when your viewers search for content on your channel they’ll only find your content, there are no public comments for you to moderate, and sensitive statistics about your play count and audience remain private – because, why is this important to your viewers? The video (left) shows what a viewer sees when viewing a video through Vimsy compared to viewing the same video on YouTube’s website. You can take this video fullscreen to see it in more detail. Vimsy supports YouTube, Vimeo and Wistia as third party video hosting services. This means that you can host your videos on (a.k.a upload your videos to) any of these services and use them as part of your Vimsy channel instead of uploading those videos directly to Vimsy. This is great for two reasons. Firstly, you can continue using your existing video hosting provider to avoid paying additional video hosting costs. Secondly, you can use Vimsy without compromising your video strategy. For example, you can upload your public videos to YouTube in case people go there to look for them, then you can add those videos directly to your Vimsy channel to take advantage of Vimsy’s various features, such as tracking who’s been watching them. To borrow a phrase, it just works. If you’d like to know more about how Vimsy can fit within your video strategy, get in touch. There are many reasons why you might need to see who’s been looking at your videos. 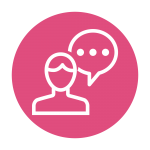 You might have a training course that you need to monitor for compliance purposes, you might need to track CPD, or you might want to follow up with a customer who appears to be having trouble with a particular product from your catalogue. Vimsy’s “Insights” feature lets you see who’s been watching your videos, when they watched those videos and how much of each video they watched in each viewing session. This information can be reviewed on Vimsy or downloaded as a CSV for creating reports. Project management training organisation Provek use Vimsy to host their online learning platform The PM Channel where they sell their library of over 1500 videos produced by Southpoint Films to consumers and businesses on a subscription basis directly through their channel. We’ve worked closely with Provek for over five years and Vimsy was a perfect fit for their needs. Because Vimsy keeps a log of which users have been watching the videos, and how much of those videos their users have watched, The PM Channel is able to provide CPD accredited online training through Vimsy. 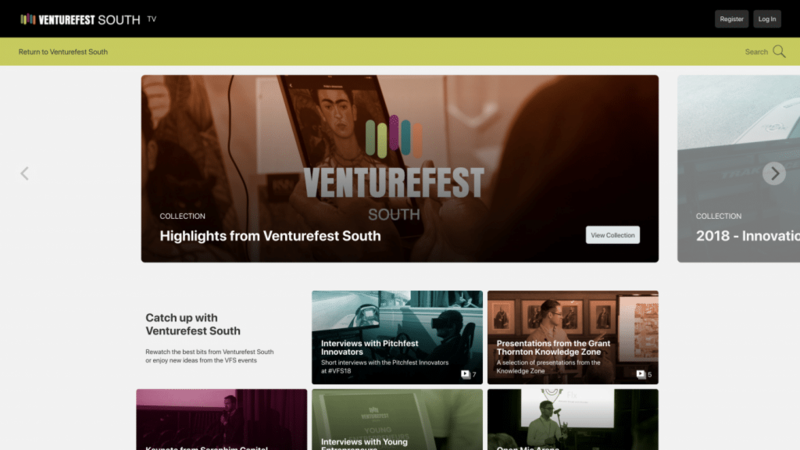 We’ve worked with Venturefest South for several years to produce recordings of their annual conference, which features keynotes from industry leaders and seminars from local businesses in various “tracks” throughout the day. 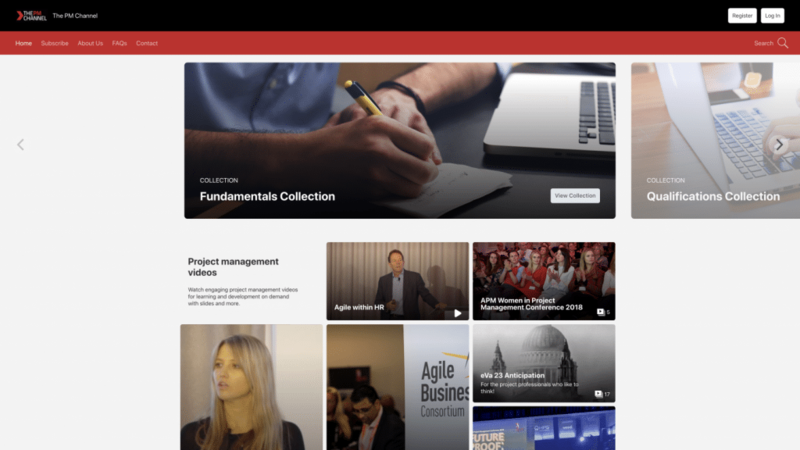 By using Vimsy’s organisational tools – collections and sub-collections – we were able to share videos in a way that matched the conference “tracks”, making it easy for delegates to watch any sessions they missed. 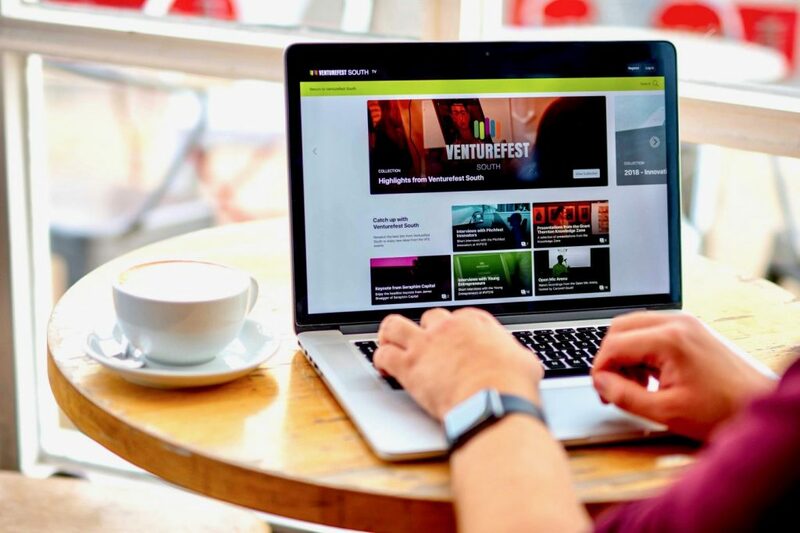 The channel has since become a staple of Venturefest South’s online presence and digital marketing. As one of the south’s largest hauliers, TJ Transport & Waste conduct stringent training for their drivers. 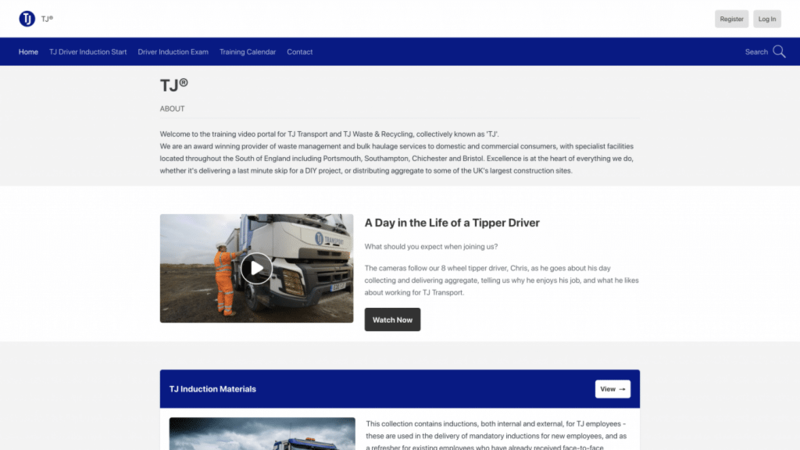 To keep up with the training demands as they continue to expand, we were commissioned to produce a series of induction videos that explain key practises and processes at the company. By using Vimsy, TJ are able to share their videos privately with just their staff, who can watch the videos from anywhere at any time. TJ’s learning and development team can then review if the videos have been watched for compliance purposes. 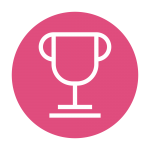 TJ’s implementation of video training and Vimsy won them a prestigious national award for Reducing Occupational Road Risk, which you can read about here. Over the past few years we’ve been working with Truvox International to produce an extensive library of instructional and maintenance videos in both English and French for their range of industrial cleaning machines. 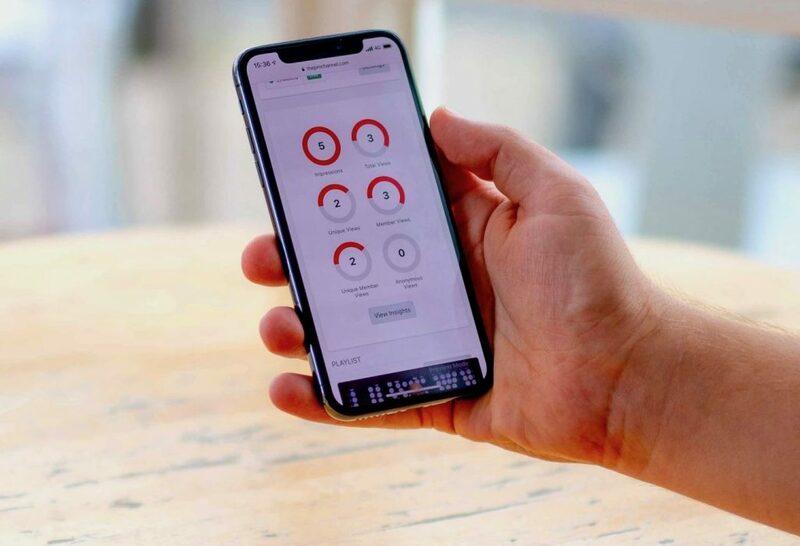 Truvox use Vimsy to organise their videos into a simple catalogue that their customers can use for getting help with their products. The videos take advantage of Vimsy’s “chapters” function which lets viewers skip to specific parts of the video. By using Vimsy, the channel is branded entirely for Truvox’s needs – no adverts or “related” videos that show products from their competitors to their viewers. 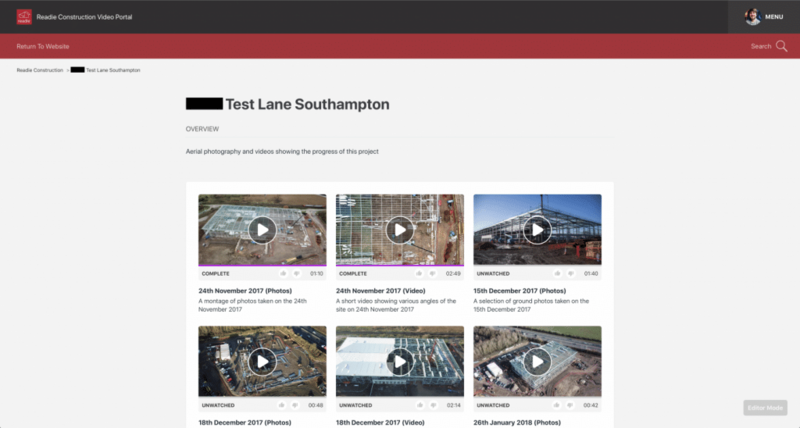 We were commissioned by Readie Construction to take regular aerial photographs and videos of a major construction project in Southampton. Knowing that the project would span many months, we created a dedicated Vimsy channel where we would routinely upload the content that we captured during our site visits. By using Vimsy as a central hub for the project we were able to share the content with members of Readie’s team, and because the channel was branded specifically for Readie, they were able to share the content with their client in a way that looked professional. 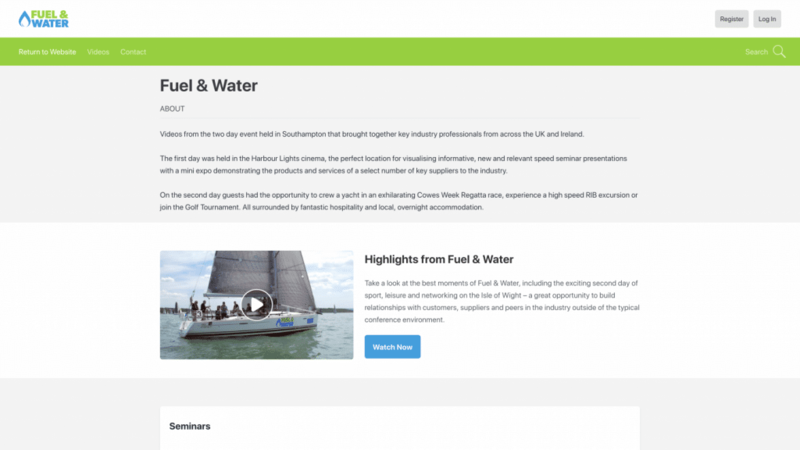 We were asked by our client Eurotank to provide video coverage of Fuel & Water, a two day conference and networking event for the fuel industry spanning across Southampton and the Isle of Wight. The outcome of a packed couple of days was 19 videos, all of which needed a suitable home for delegates to view them post-event. The answer was Vimsy. We created a branded Vimsy channel for the event and shared it with the organisers. As a result, delegates were able to rewatch sessions they found interesting and share them with colleagues who couldn’t attend on the day. We can help you set up a channel or you can give it a go yourself. All you need is an email address and some videos, then follow the link below to create a channel.